Do You Need a Canadian Electronic Travel Authorization? Travelers to Canada from visa-exempt countries must apply for and receive an Electronic Travel Authorization (eTA) in order to fly to Canada. These travelers will also need an eTA to transit through Canada. Travelers who were required to obtain a visa to enter or transit through Canada prior to March 15, 2016, will still need to do so and do not need to obtain an eTA. An eTA, or Electronic Travel Authorization, gives you permission to visit or transit through Canada without a visa. You can apply for your eTA online. Most travelers will receive an email within minutes, confirming that their eTA application has been received. Of these travelers, many will receive approval of their eTA quickly, too. Some applicants will be asked to upload documents for review by Immigration, Refugees and Citizenship Canada (IRCC). Typically, these documents are medical examination forms, but IRCC may ask for other forms or letters. What Information Do I Need to Apply for My eTA? In addition to basic personal information, such as your name, date of birth, address and birthplace, you will need to provide your passport number, issue and expiration date and issuing country. You will also need to provide your contact information, including email address. In addition, you must explain your financial status as it pertains to your trip and your citizenship status, including dual citizenship and multiple citizenships. The application form is provided in English and French. Online help guides are available in 18 languages. The help guides provided detailed information, with illustrations, about each part of the eTA application process. The application fee for an eTA is CDN 7.00. You can pay by MasterCard, Visa or American Express. If you do not have a credit card, you can use a prepaid MasterCard, Visa or American Express to pay the application fee. Your eTA, if approved, will be valid for five years. I Live in the United States. Do I Need an eTA to Fly to Canada? US citizens do not need an eTA or visa to visit or transit through Canada by air. Permanent residents of the US, however, do need an eTA. If you drive to Canada or visit by cruise ship or boat, you will not need an eTA to enter the country. I live in Canada. Do I Need an eTA to Fly Home? Canadian citizens, permanent residents and dual citizens cannot apply for an eTA. I Just Found Out About eTAs and I Am Flying to Canada Next Week. What Should I Do? Apply for your eTA right away. Although you cannot expedite the process, eTA approval is sent via email, so you probably have enough time to apply and obtain approval. If you need an eTA, you must have it in order to board your flight. What Are Canada's Entry Requirements? 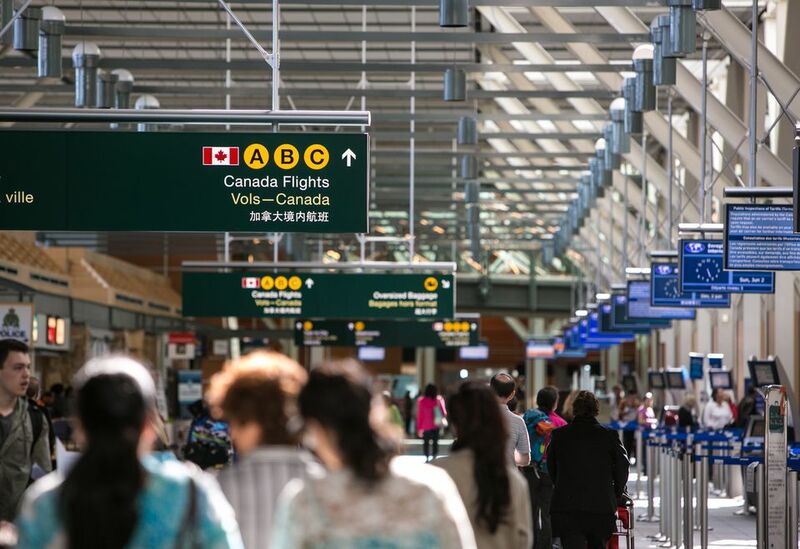 According to IRCC, you may not be allowed to enter Canada if you are a security risk or convicted criminal, have violated human rights or international laws, have serious financial problems, are involved in some way with organized crime, are related to someone who has been denied entry into Canada or have lied on application or immigration forms. If you have been convicted of a crime or have committed an act that would be a crime under Canadian law, you may be barred from entering Canada unless you can prove that you have been rehabilitated. This means that either time has passed and you have committed no further crimes or that you have applied for individual rehabilitation and proved that you are unlikely to commit new crimes while in Canada. You may not be permitted to enter Canada if you have certain health conditions, particularly untreated conditions. If you are required to have an eTA and have been arrested for or convicted of a crime, you will need to apply for criminal rehabilitation in Canada and wait for an official response to that application before you submit an application for an eTA. Can you REALLY move to another country after the election? Do I Need Rental Car Insurance When I Travel Abroad?